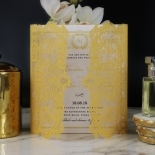 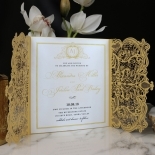 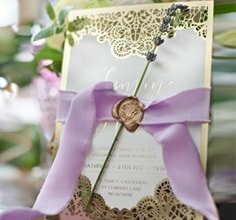 This luxurious wedding invitation is exquisite and elegant from the precise laser cut detailing to the complementary envelope included. 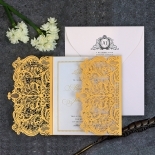 A breathtaking Victorian inspired pattern is intricately laser cut into the premium card stock to create a regal and vintage pocket and backing. 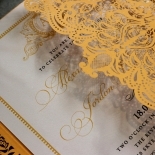 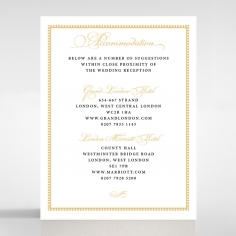 When unfolded, a shimmering ivory card is revealed with exceptional calligraphy styled print and a lavish crest. 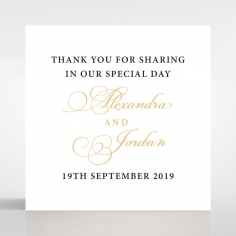 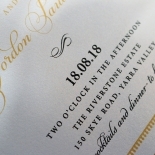 The simple border enhances the grandiose appeal of this design regardless of any customisation you wish to add to the wording, font style, color and layout. 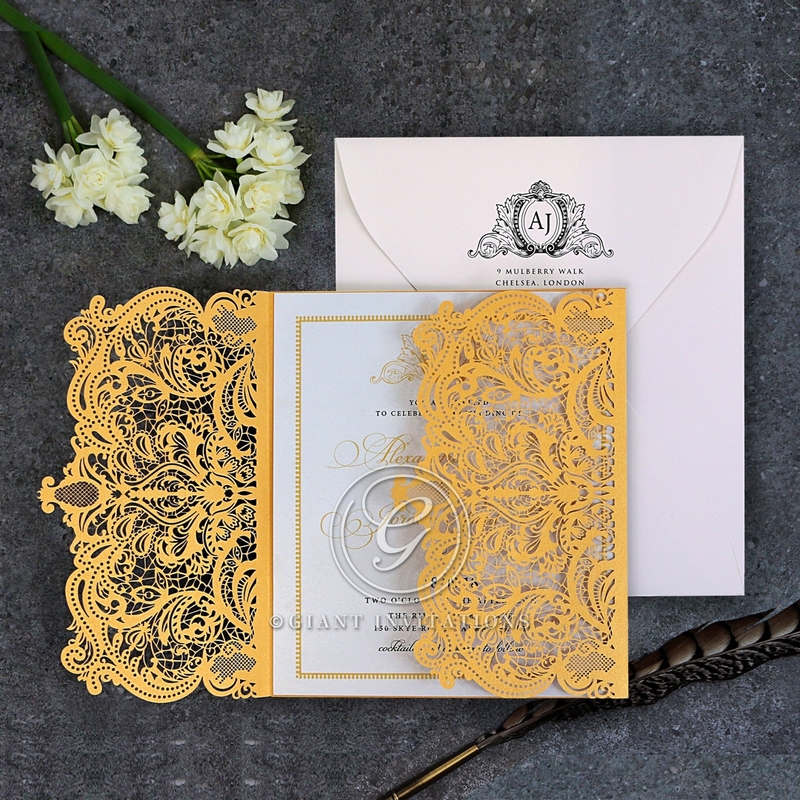 The overall look of this astounding stationery is fit for royalty making it perfect for brides with a fairy tale wedding theme. 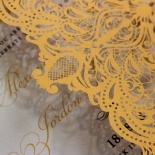 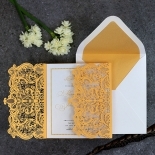 I love the royal lace invites! 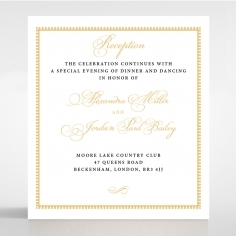 They look so elegant and expensive! 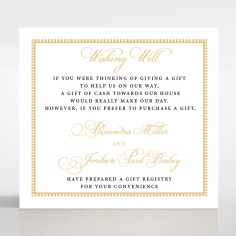 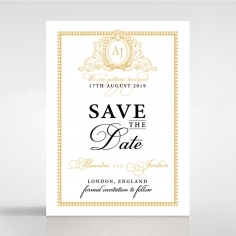 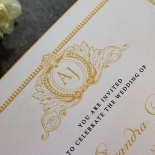 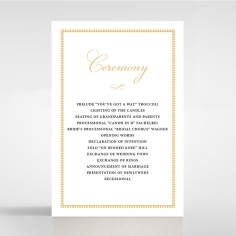 I and ordered them as my wedding invites, and used the gold foil font. 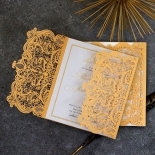 It was quite beautiful! 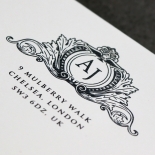 The paper is great quality, and looks great with both white and black paper. 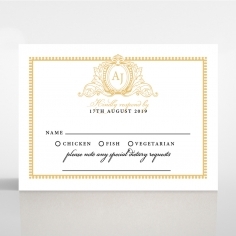 The invites seem very high end. 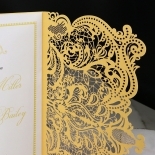 The gates look so intricate and delicate. 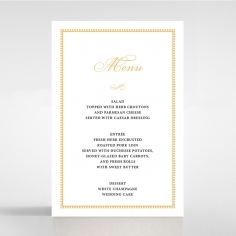 I am even ordering a second batch as menus to have placed on the table. 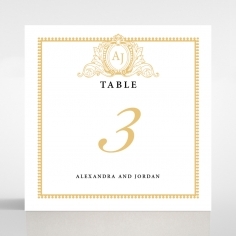 It will definitely make my table much more beautiful! 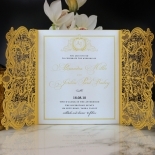 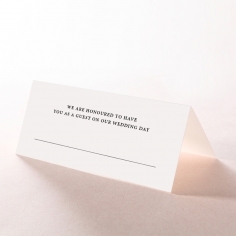 These invites definitely go with the luxurious theme of my wedding.